Looking for Aluminum and Vinyl Siding Power Washing in Connecticut? At Blue Mobile Power Washing, we provide all power washing services in CT. If you need power washing services in Connecticut Blue Mobile Power Wash is the company to contact. We get the job done in the quickest and most effective way in the business and we don't cut corners. If you choose us for then you can be ensured that we will work hard from start to finish. Call today for a free, prompt, no-hassle estimate. Rest assured that we adhere to strict shingle cleaning standards. 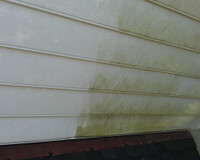 Need Aluminum and vinyl siding power washing? I need Aluminum and vinyl siding power washing... can I get a free estimate?